How is it already Friday again? I just love teaming up with Carrie over on Reading is my SuperPower for our Friday fun! I find it is a great way to end the week, kickstart the weekend and LOVE hearing the gripping first lines of all these fabulous books! Last week I mentioned my reading nook that my hubby is building for me! 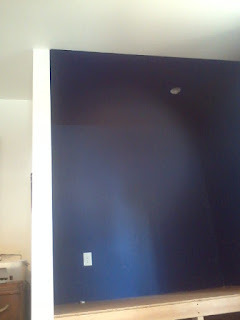 We got the first coat of paint on...and as promised...here are some pictures! 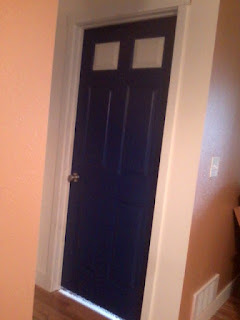 We are doing a Doctor Who theme. so we had limited lighting lol! 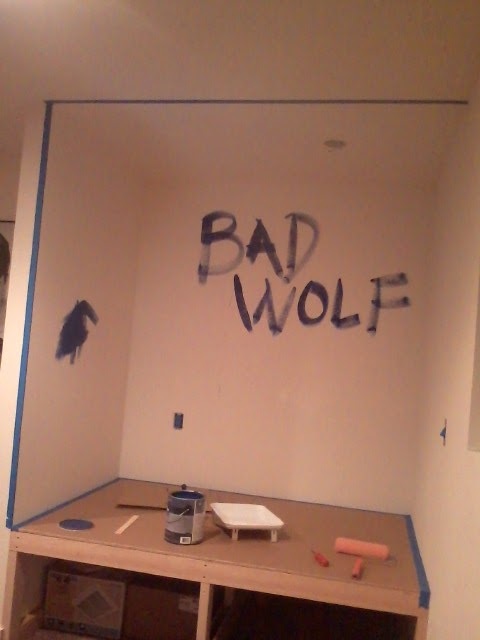 Silly us, we should have actually done primer for the first coat, but oh well. 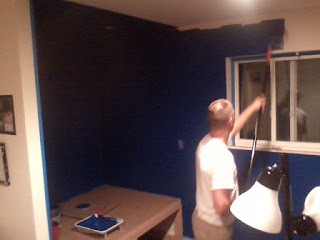 It looks fantabulous! Her Father would never forgive her. For what he won't forgive her...Well I guess you will just have to find out for yourself hehe! 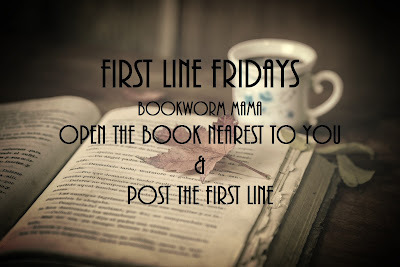 What is your first line? 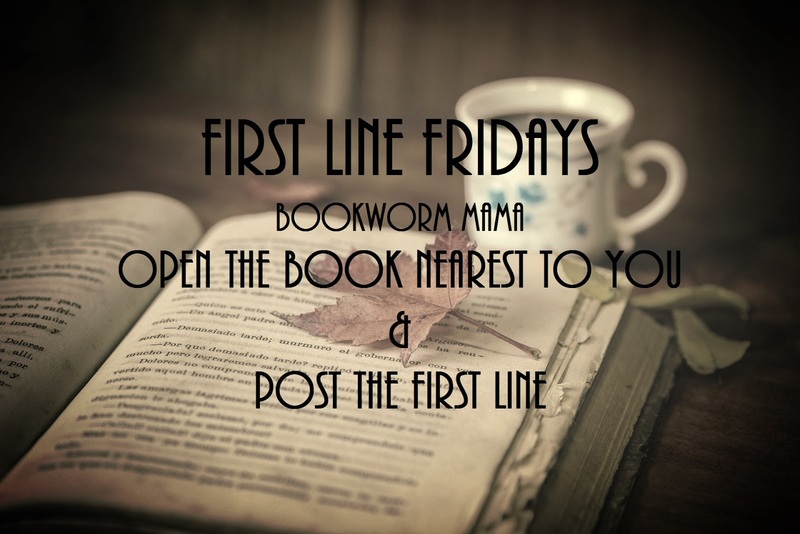 Comment below and then head over to Carrie's HERE to post your first line on Reading is my SuperPower. Thank you for joining us! And if you would like to join in the fun on your blog, send Carrie an email! "With each passing day, she remembered she had a secret." Ahhh...secrets! Nothing good comes of having them! yay!! Love that book too!! And your reading nook IS looking fantabulous! :) Now the book closest to me is Suzanne Woods Fisher's The Quieting - this first line is "Men, I believe I have just met my future bride!" Thank you! Super excited!!! Oooh!!!! Aww, thank you, Rachel. :) God bless! “Fourteen circles for fourteen owners.” ~~ Storm Siren by Mary Weber. I haven’t gotten to start it yet, but this was the closest to me. I want to read these!!!!! My first line comes from Sarah Sundin’s IN PERFECT TIME For Lt. Kay Jobson, flight nursing meant more than physical care. Thank you Caryl! Blessings to you as well! I love Sarah Sundin....I need to read this one. "Zeke Monroe appreciated a good joke, and this one was on him." Haha...this made me laugh out loud! Thanks Sydney! Oh Rachel that book is on my very long want-to-read list!! Please tell me it's as good as all the great things I've heard about it! Okay, back to first lines, I'm just starting this one tonight....it's from Varina Denman's newest book "Jilted", the third and final of the Mended Hearts series. Like I told Carrie, you guys must be extra special because this is the first time I've even cracked open the page..haha! I’m starting this book tonight. It’s Varina Denman’s newest one “Jilted” her third & last in the Mended Hearts series. You must be special Carrie because I haven’t even cracked the book open until now…haha! 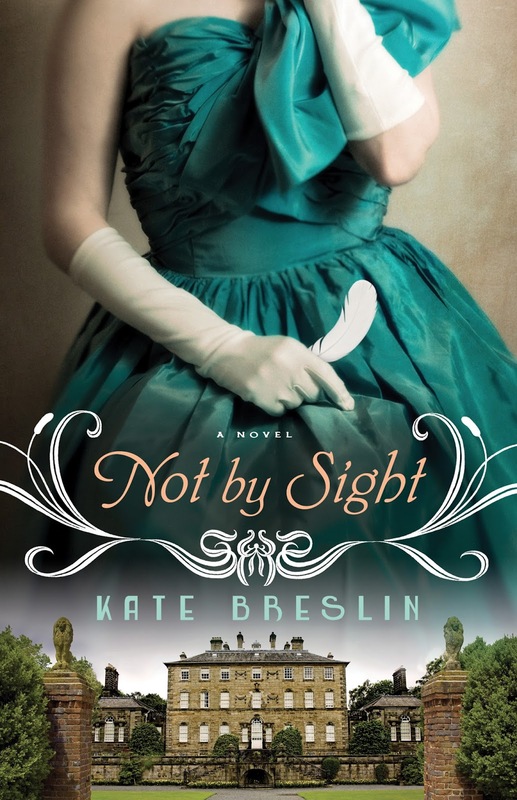 Not by Sight is seriously one of my favorite books of all time! Kate Breslin is easily in my top 5 favorite authors! I really want to re-read it, but I just have no time right now lol! Hope you can get to it soon! And enjoy Jilted...Sounds like an interesting beginning!